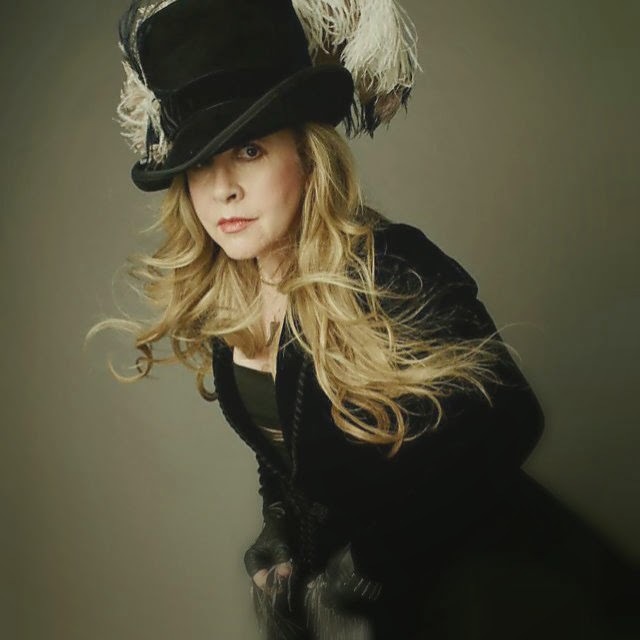 Stevie Nicks says that her massive solo career always took second place in her heart to Fleetwood Mac. Nicks, who along with the Mac are out on the road for their sold-out first tour with the returning Christine McVie since 1998, explained why she even went solo in the first place, telling NPR: "When you're in a band with three great writers, you only get one third of the writer thing. So that's the whole reason that I did a solo career. And that's when I told Fleetwood Mac I was going to do that, they were of course terrified that I would do that record and then that I would quit. And I said to them, 'You guys. . .' I mean, I wanted to go around and hold each one of their hands and say, 'Listen, my loves. I am never going to leave you. I just need a vehicle. I can't, I have trunks of songs from 1973 that are never going to be heard. So the only reason I'm doing this solo thing is so that I can throw a few more songs out." She went on to explain how she pitched it to her bandmates -- Lindsey Buckingham, Mick Fleetwood, and John and Christine McVie -- saying, "So while you guys take your extended vacations: Lindsey, while you lock yourself in the studio and make records that nobody's ever going to hear; John, you're going to go and get on your boat and sail, actually sail, from L.A. to Hawaii and back, and get lost out there, and we're going to lose you and not know where you are; Christine is going to go back to London and hang out with her friends. While you guys are doing that, I'll make a record, I'll put it out. I'll do a month of shows. And I'll be done, and I'll come back. It's never going to be in front. It's never going to be Fleetwood Mac. I'm the Learjet and they're the 738." Stevie Nicks has been a solo superstar for over four decades now. We asked her how she feels about juggling two very high profile careers over the years: "A solo career and Fleetwood Mac are a really great thing to go back and forth to. Because, y'know, you can do your solo work and then you could do Fleetwood Mac, and then you can go back to your solo work and then you could do Fleetwood Mac. It really is kind of a blessing in many ways. You never get bored, so you can do your thing until you start to get bored and then you can go to the other thing. (Laughs) And then you can do that until you start to get bored and go back to the other thing. And it really makes for staying in a much more excited and uplifted humor for everything that you do when you're not just doing one thing." Stevie Nicks' latest solo set, 24 Carat Gold: Songs From The Vault, debuted on the Billboard 200 album charts at Number Seven and features newly recorded versions of lost and/or long bootlegged tracks. The set was co-produced by the Eurythmics’ Dave Stewart along with longtime guitarist Waddy Wachtel, and recorded in only three weeks. Nicks said in a statement about the set, "I used to make cassettes of my songs and hand them out. But to know that these songs have finally been recorded with the same love they were originally created is joyous for me. I picked 12 songs from about 40 demos made from 1969 to 1987 and one each from 1994 and 1995. These songs are all about love and heartbreak -- how to pick up the pieces -- how to keep moving… I’m really chronicling love from the very beginning." The deluxe tracklisting for Stevie Nicks' 24 Karat Gold - Songs From The Vault is: "If You Were My Love," "Mabel," "Normand," "Twisted," "24 Karat Gold," "Belle Fleur," "All The Beautiful Worlds," "Lady," "I Don’t Care," "Watch Chain," "Hard Advice," "Carousel," "Blue Water," "Cathouse Blues," "The Dealer," and "She Loves Him Still." Stevie and Fleetwood Mac have been making wonderful music always. Stevies music had to be heard also. She had to much of it. I am so grateful she went solo and gave us more of her music and stayed true to her promise and never left the band. "Lindsey, while you lock yourself in the studio and make records that nobody's ever going to hear" Ouch. stevie and lindsey will always be throwing the other under the bus in their passive aggressive ways.